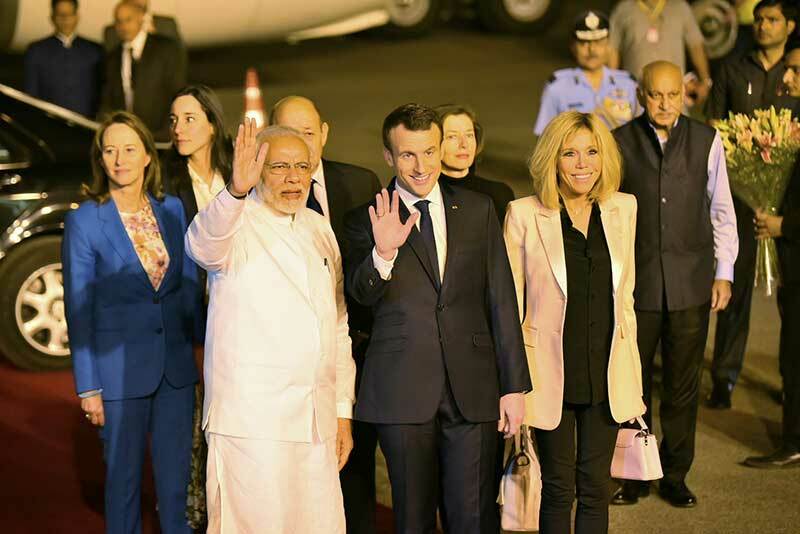 of French President, Mr Emmanuel Macron, to India. programmes, satellite communication experiments and satellite launches. representations, led by ISRO and CNES. sides will cooperate in remote sensing of earth using satellites. derive useful information for the benefit of humanity. with high resolution imaging capability in optical and microwave domains. for land Infrared monitoring and the Oceansat3-Argos mission. the regions of interest for France and India. space science and planetary exploration missions in future. atmosphere on Mars and Venus. polymers, chemicals, nanotechnologies and manufacturing technologies. man-in-loop simulators for human space flight. of common importance including space security, safety and sustainability.